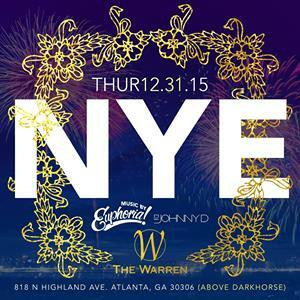 The Warren is hosting the best NYE party in town! Enjoy a New Year’s Eve celebration and dinner like no other in Atlanta. Indulge in a tantalizing four-course prix fixe menu planned by our amazing chefs, William Taylor and Adam Chappelear. We are taking dinner reservations from 6-9:30 PM for Thursday, December 31, 2015. Following dinner, the DJs will be spinning and the drinks will be flowing. Can’t make it for NYE dinner? Don’t worry! 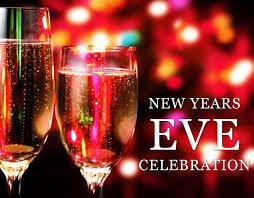 We have a fantastic evening of drinking and dancing planned with TWO DJs to get your year off to the perfect start. DJ Johnny D will open up at 10pm, followed by DJ Euphoria after the ball drops. Buy Tickets Now to ensure your entry into one of the most exclusive clubs in town. Your ticket covers entry, TWO drinks, and a glass of champagne at midnight. You’re not going to want to miss out on Atlanta’s favorite club this New Years. Join us for a night you’ll never forget. The Warren is partnering with Lyft to ensure that each and everyone of our guests gets home safely. 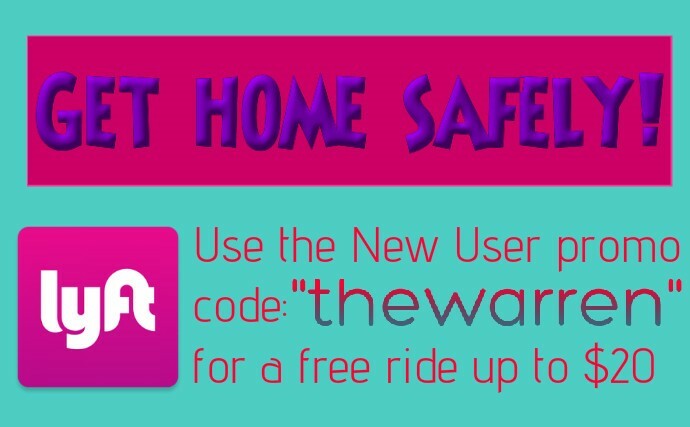 New users can use the code “THEWARREN” to receive one free ride of up to $20 value. NYE is going to be epic! Come and check out all that The Warren City Club has to offer.